Authors willing to submit their manuscript to Recent Research in Science and Technology are requested to carefully go through the guidelines as given below, [The papers submitted without following this style and format will not undergo review process, and will be returned to authors]. The publication of an article in Recent Research in Science and Technology incurs an article processing charge (APC) of $50 (Fifty US dollars). There is a provision for partial waiver if the authors are from Low-income or Lower-middle-income economies as defined by the World Bank. The APC waiver should be requested in writing to editor@tathqeef.ae and approved from the Editorial Office of Recent Research in Science and Technology before submission of article. 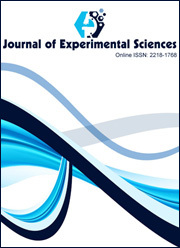 The Recent Research in Science and Technology does not have an article submission fee. As Recent Research in Science and Technology follow a continuous publishing model, the article will be published online with page numbers soon after proof correction.